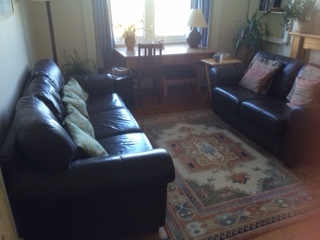 I offer person-centred supervision to counsellors, including counsellors in training. I also offer non-managerial supervision and consultation to other professionals from the voluntary and statutory sectors. My intention is to provide a safe space for open reflection and curiosity about your work, and I see supervision as a supportive, collaborative process. Although I supervise from a person-centred framework I am open to working with colleagues from other traditions. My original counselling training encompassed both the person-centred and psychodynamic approaches, and I value the mutual learning that comes through sharing perspectives. My fee for supervision is £45 per hour.